Discussion in 'iPhone and iPad Games' started by Techzamazing, Jun 22, 2016. 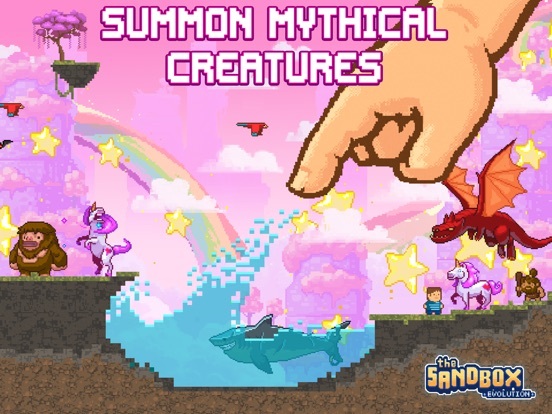 Sandbox evolution world wide release. The "purchase all elements" special doesn't work. Trying to give you my money here! It worked okay for me. Maybe it's just a server issue or something. By the way - could one of the mods please set this thread up as a proper game thread with screenshots, links etc? 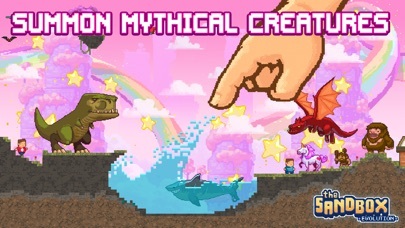 @PixOwl - I'm really enjoying the game. However, it's a bit odd the way characters interact with hand-drawn objects. For example - in this Blade Runner themed level I'm working on, if I jump to the left, the character sticks onto the side of the streetlight pole. Is there any way of getting around this? @CandyKiller woah this is quite a nice level you've done, congratulations!! 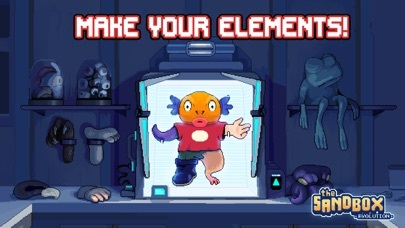 Pixel Art element behaves has a colored wood and can be passed through by the characters. You can use the an element like wall to block that if you don't want them to go through. What is the name of your level in the Worlds section? We will feature it for sure! 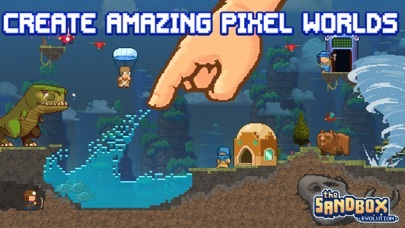 Here is the weekly shot of new pixel art, animations and more that beta testers made with The Sandbox 2! Which is your favorite from all the ones below? Adventure Time, Super Mario, Porco Rosso, Overwatch and many more! How is this different to the original? I haven't hit any bugs so far. I purchased the $9.99 unlock, but I see I still have to use mana or orbs to open the next set of levels after finishing the tutorial. I haven't done it yet to see what happens; I'm just wondering if that's how it's supposed to be. I seem to recall that buying the full unlock in the first game opened up everything. I might be mistaken though. I'm also still shown the other purchase packs in the top left corner of the home screen. Surely the big unlock eliminates the need for those? One thing I would like is a "save as" option, so I can save multiple versions of levels. Otherwise, I'm enjoying it. Larger levels, nicer graphics. Yes, that is annoying. I paid for the full unlock but still get that ad displaying at the top left. Surely the game should detect that we have paid and stop showing that annoying prompt? As for bugs - the game ran fine for me for the first couple of days but now it freezes for a few seconds every 90 seconds - 2 minutes and crashes regularly. I've tried rebooting my iPad and all the usual stuff but it doesn't help. Its running fine for me so far. Only problem I have had is that it's not adding my Karma mission rewards to my total. I purchased the 9.99 pack and was wondering where my elements were, when I went into Create Mode and clicked on the tabs, they were all there. Okay, so I was forced to delete the app and reinstall to get rid of this freezing issue, and it's working fine now. After logging back in to my account, my created worlds are still there and I managed to restore my purchases without a problem. However, I have now lost all progress in the game. Sigh. I've published this one as "Off World." It's pretty basic gameplay-wise, I was really just using it to get to grips with the creation tools. I have one bug after all. Any time I do something to earn karma, my total doesn't increase. It just sits at 7. I just collected the daily reward, which was one karma orb, and the total didn't increase. I hope nothing else pops up that requires karma to unlock, like the caveman levels. We're happy to announce the availability of Ghostbusters downloadable content as the first major update for The Sandbox Evolution!! With this new update, players can now create their very own games and content with heroes, elements, enemies and more from the loved Ghostbusters world. What's New in Update 1.0.4? Who ya gonna call? Thirty years after the original franchise took the world by storm, Ghostbusters returns! 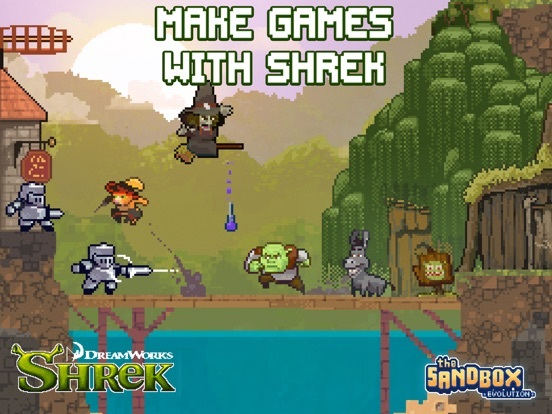 And it's coming to The Sandbox Evolution with an exclusive, time-limited, collector expansion pack. Get ready to discover and play, Ghostbusters-style! ▪ UNLOCK 2 NEW HEROES & 3 NEW ENEMIES, plus unique decorations and hazards to use in your own game levels! ▪ NEW FEMALE GHOSTBUSTER HEROES: Erin fires high proton charged projectiles, and Holtzmann can bind and pull ghosts with her proton ray. Fire away! ▪ THREE NEW ENEMY GHOSTS: Nightmare, Spectre & Phantom. Avoid Mayhem attacks! ▪ TRAP 'EM: Catch enemy ghosts in the new Ghost Trap! 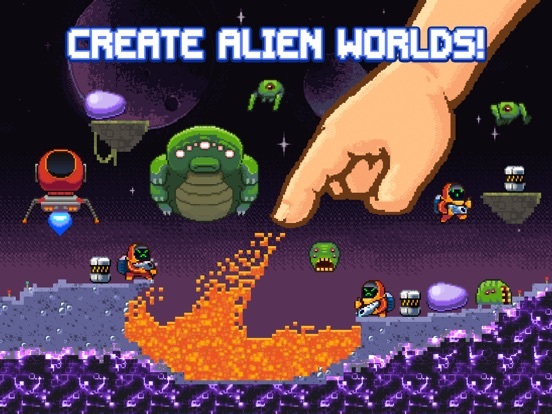 NEW CREATE MODE - MAKE LEVELS WITH GHOSTBUSTERS ELEMENTS! We're happy to announce the availability of a second Ghostbusters-themed update for The Sandbox Evolution. Players can discover and enjoy these exciting new contents: GIANT GHOSTBUSTERS BOSS AND 11 NEW LEVELS! Who you gonna call? Thirty years after the original franchise took the world by storm, Ghostbusters returns! And its coming to The Sandbox Evolution with an exclusive, limited-time collector expansion pack. Get ready to discover and play, Ghostbusters-style! GIANT GHOSTBUSTERS BOSS AND 11 NEW LEVELS! 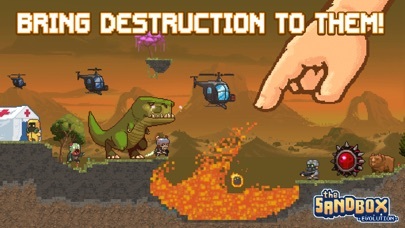 - BATTLE ROWAN: This angry Ghost boss will try to destroy you. Dont let that happen! Use your Proton weapons to vanquish him. - NEW GHOSTBUSTERS CAMPAIGN: Complete 11 new missions as a Ghostbusters team member. Ghosts have started creating mayhem in New York and the Ghostbusters have been called in to deal with them. Find and stop the source of these paranormal apparitions! 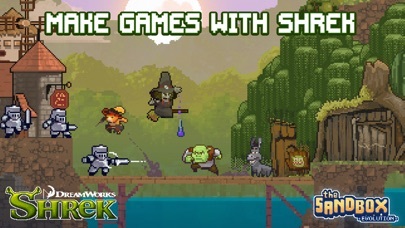 - UNLOCK 2 NEW HEROES & 3 NEW ENEMIES, plus unique decorations and hazards to use in your own game levels! - NEW FEMALE GHOSTBUSTER HEROES: Erin fires high proton charged projectiles, and Holtzmann can bind and pull ghosts with her proton ray. Fire away! - THREE NEW ENEMY GHOSTS: Nightmare, Spectre & Phantom. Avoid Mayhem attacks! - TRAP EM: Catch enemy ghosts in the new Ghost Trap! You asked for it and here it is! Lasers Update! 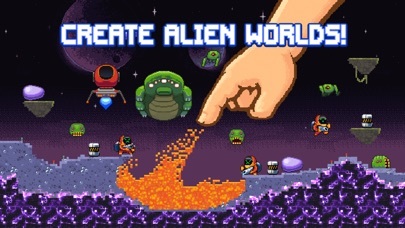 A whole #new set of elements for you to #create an amazing Laser World! Are you ready to INTERACT WITH LASERS, LIGHT UP THE SKY above or SLIME THE CITY below with NEW ELEMENTS & CHARACTERS?! What's New in Update 1.0.8? 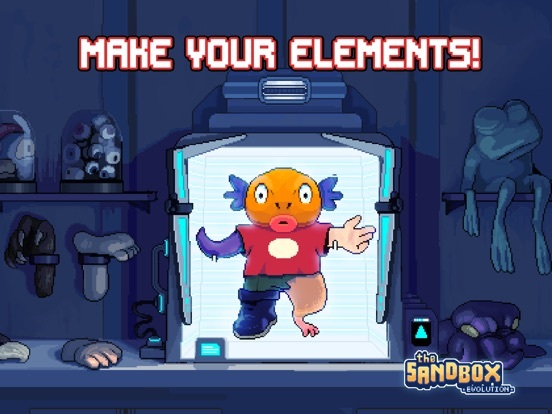 LIGHT UP THE SKY above or SLIME THE CITY below with NEW ELEMENTS & CHARACTERS! 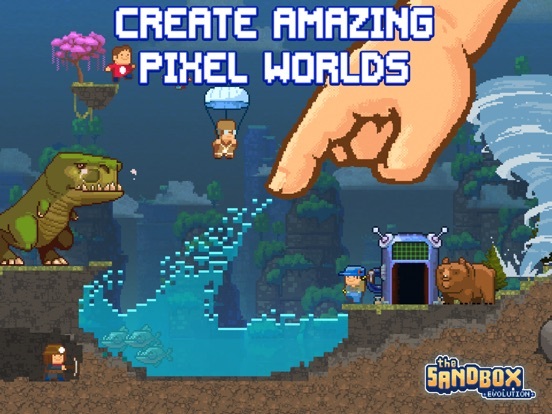 Tap to rotate the angle of the light beam and start creating exciting new pixel universes and puzzles! - LASER: A particle that shoots a light beam. Zap! - BOOM! Place fireworks and watch them light up the sky. It's celebration time! - PLAY AS PATTY AND WIELD THE GHOST CHIPPER: Use Patty's Ghost Chipper weapon to turn ghosts to slime! Watch out for those fists of fury! 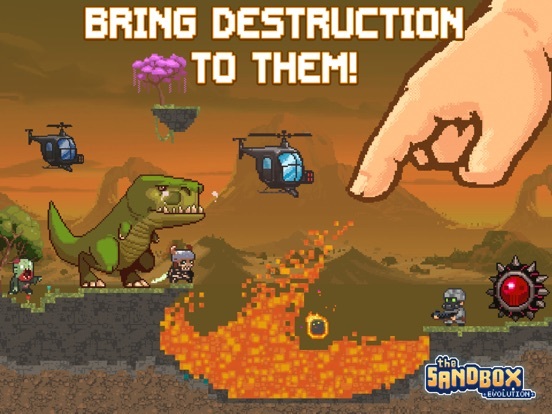 NEW CAMPAIGN: "Sandmix Vol.2" with 10 exciting levels to play! NEW MISSIONS to complete and new levels to gain! NEW ABILITY TO SKIP DAILY QUESTS! Skip difficult quests and try to beat a different one!